I love two dead royals: Anne Boleyn, queen consort of the infamous Henry VIII, and Diana, Princess of Wales. They lived such tragic lives but at the same time, these two women brought so much change to their country. Anne was the mother of the English Reformation and Diana modernized royalty. 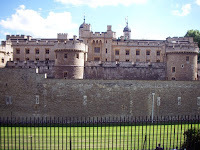 So when we passed by the Tower of London, I can’t help but sigh. In this fortress, Anne was imprisoned as her husband romanced his new queen-in-waiting, Jane Seymour. Anne was quickly beheaded yet her last words still spoke of her love and respect for the king. 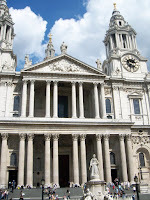 Then when we passed by St. Paul's Cathedral where Diana and Charles were wed, I let out another big sigh. I could still see her walking down those steps in that ridiculously pouffy wedding dress, young and glowing and looking shyly but happily at her prince. I think she still can't believe that she was now the star of every little girl's bedtime story. Well, we all know how that fairy tale ended. Such sad wives. And on your honeymoon, that kinda jars you, ya know? Grabe Neighbor, ang haba ng honeymoon entry mo hehe. Pero malamang I'd do the same if galing ako sa London for honeymoon—or basta galing sa London :p I like this part. 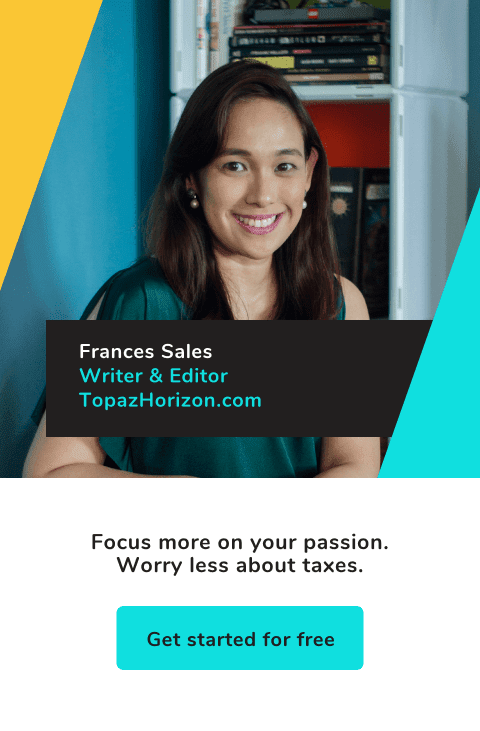 Minsan kuwentuhan mo pa ako about Anne Boleyn ha? :) And yes, I remember that poufy dress! My mom and I watched it on tv when I was like, 2? Yes, it would be so nice to talk to you about Anne Boleyn. She's so fascinating! And tragic! Ya, you must've been 2 and I think I was 5. But I didn't watch it kasi I was playing outside maybe? Basta I remember my dad telling me I should be like Diana, grow up and marry a prince. Well, I married someone whose name rhymes with prince! Does that count?? ?